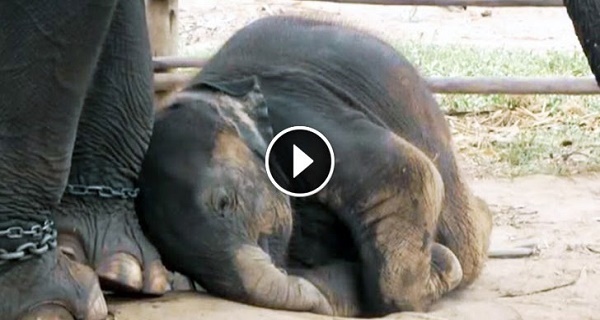 She Sees A Baby Elephant Lying Next To Shackled Mom. What She Does Next Makes Her My Hero! Home » Unlabelled » She Sees A Baby Elephant Lying Next To Shackled Mom. What She Does Next Makes Her My Hero! When she was a young girl Carol Buckley met Tara, an elephant on display in California tile store who was forced to live in the back of a truck. The encounter sparked not only a profound friendship between the two but a lifelong obsession for a woman who would grow to become the world’s top authority for rescued elephants. This is the story of one amazing woman who made it her life goal and her mission to change the culture of exploiting elephants for human entertainment and she’s doing it one elephant at a time.